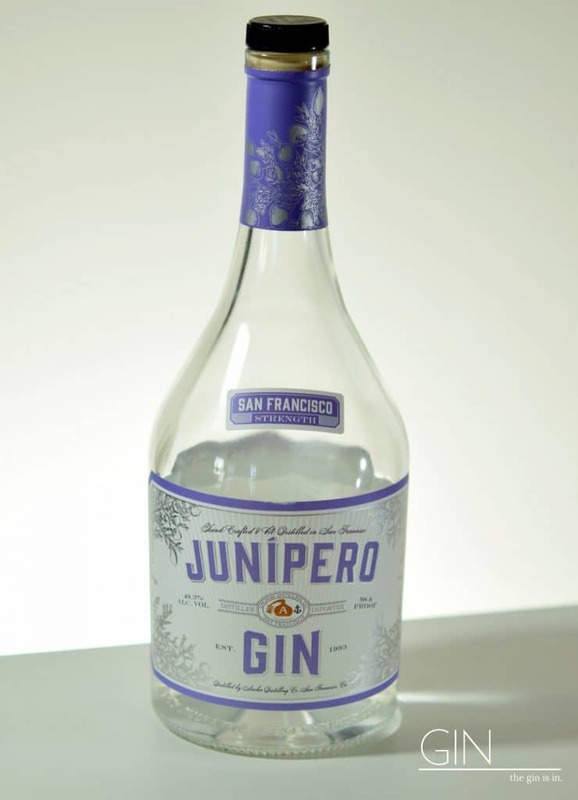 Junipero Gin recently celebrated their 20th anniversary. Anchor Brewing Company was at the forefront of the craft brewing revolution in America. Fritz MayTag thought Anchor could seize a similar opportunity in the world of spirits. Thus was born, Anchor Distilling Co.
Junipero is perhaps the first craft, copper pot distilled gin in America since prohibition. Secondly, Anchor and Junipero set the benchmark for “premium” gin pricing. I often cite $30 as the price for which you can get a good craft gin. Junipero pricing their gin at $30 was akin to shooting for the moon at that time— most gins were priced at $10–$15 dollars. Anchor Distilling may have set the benchmark for premium or craft gin pricing. Thirdly, they eschewed chill filtering. Finally, though the flavor profile of Junipero is incredibly classic, the botanical blend did strive in some novel directions. Cardamom is included, a full decade and a half before most other distillers went cardamom-wild. Two kinds of orange are included— both sweet and bitter. And there’s the beautiful spice accord of grains of paradise and cubeb. The nose begins with bright pine-forward juniper, with some slight waxy/herbaceous quality as well, along with bitter orange and peppery cubeb notes. Juniper is the star, but it’s not a soliflore. Drinking junipero neat, the heat from the 98.6 proof is evident. Juniper and an assertive ebb of warmth from the base spirit comes through. Even as pine forward juniper occupies space on the front of the palate, a careful background layer of lemon and orange zest adds color— gently spicy, cool pepperiness adds some warmth, there’s a hint of fennel seed ushering in a very classic and juniper focused finish. Junipero finishes on the palate with a moderate lasting warmth— echoes of angelica, juniper, and lemon rind. On its own, Junipero feels like a dialed up version of some aspects of Gordon’s Gin (please, 47% minimum version) and the gentle citrus complement of Plymouth. It’s certainly steeped in the culture and time of classic style gin. Also note, if it wasn’t reported that cardamom was among the botanicals, I would have never guessed. I don’t get even the slightest hint of it on the palate here. Anchor Distilling Co. may have made the finest classic-style mixing gin this side of the Atlantic. Slightly less aggressive than the 55+% of Navy Strength gins like Plymouth makes it more accessible for spirit forward drinks like the Martini. Notably more present than other 40% ABV gins, it stands loud and proud in flavorsome drinks like the Negroni. If I were a bartender looking to start a United States only bar program, Junipero would be my all-around U.S. based gin. It’s not just the strength that works with Junipero Gin— nor it’s classic profile— it’s the flavor. Ideal for a juniper-forward touch in everything from a Hot Toddy, Gin Alexander, or even the Ramos Gin Fizz. Some of the best drinks I think with Junipero are the citrus ones. Try it in a Tom Collins. And if you’re looking for jut a bit more punch in mixed drinks. It’s one of the few gins that I think you can mix with juice and still get some juniper in your Gin and Juice. Also recommended with Tonic. Junipero Gin and Anchor Distilling Co. hit it out of the park here in my opinion. Perfectly made, this hands down has to be the one of the best gins being made in the United States today. And the fact that Anchor Distilling Co. has been making it for so long— is just proof that first to the game, can also be best-in-the-game. Highly Recommended among all gins. Thanks for the note— very right. Fixed that one. This is my favorite gin; assertive and classic. Neat, rocks, or in a cocktail it is everything I look for in a gin. I highly recommend trying a Junipero Gimlet. It is exactly as stated in the review, a real contender with Botanivore for my favorite in a martini.